Image – River Mangrove Are The Life Of Climate.IS. More than 35% of the world’s mangroves are already gone. The figure is as high as 50% in countries such as India, the Philippines, and Vietnam But Worlds Largest area in Bangladesh,BUT NOBODY DONT KNOWS THAT ! ?OWw SELUCAS!? BUT NOBODY DONT KNOWS THAT THe Coal Power project of Bangladesh And India……. Tomlinson (1986) reports: ‘The word “mangrove” has been used to refer either to the constituent plants of tropical intertidal forest communities or to the community itself.’ But, here in this web site, we say very simply, mangroves are plants grow in tidal area in tropics and subtropics. Keep it in mind that there are more than 100 species of mangrove plants in the world, among which some palms and ferns are included. Mangroves in Japan found chiefly in Okinawa, the southernmost prefecture, are Bruguiera gymnorrhiza, Kandelia candel, Rhizophora stylosa, Avicennia marina, Lumnitzera racemosa, Sonneratia alba, Heritiera littoralis, Nypa fruticans and others. Kandelia candel, one of the hardiest mangroves, can also be seen up north from Okinawa Prefecture such as Amami-Oshima Island, Yakushima Island, Tanegashima Island, and Kiire Even in Izu of Shizuoka Prefecture, where Mt. Fuji is located, transplanted propagules have successfully rooted and have been growing. 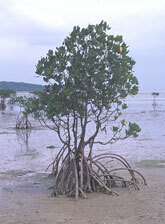 Salt tolerant mangroves have various unique shapes and characteristics. You can learn these interesting mangrove characteristics through this site! Most mangroves in Japan are not taller than 10 meters in height, but ones in Southeast Asia, Pacific, Latin America and Africa regions are much higher. What is amazing is that mangrove trees exceeding 60 meters are standing in Ecuador. Many kinds of animals such as crabs, fish, shellfish, shrimps, waterfowls and mammals inhabit the mangrove forest which is an important home to them. In tropical Asia, you can also find groups of mangrove monkeys there. Unfortunately, however, mangrove forests in the world have been degraded and devastated due to over-cutting (exploitation), shrimp pond construction and other causes. So many habitats of animals are threatened. Local dwellers make use of mangroves as timbers, firewood, charcoals and so on. The decrease of mangrove resources is a big worry concerning their livelihood. We hope this homepage helps you to feel the life in mangroves. When you have a chance, please come and see real mangroves and animals living in the mangrove forest! The joint efforts of the Government of India and Bangladesh Sundarbans in Bagerhat near ramapale 13 0 MW bidyutakendra ¯ hapana going to do. Meanwhile, the country’s delegation Rampal has done that in the pre-potential. The Sundarbans is just 9 km from the distance of বিদ্যুতকেন্দ্রটির ¯ Han. The Aqua is the ramapale nearly 000 acres of land. The Sundarbans mangrove forest is the longest in the world. Where I live there are 4000 species of fauna. 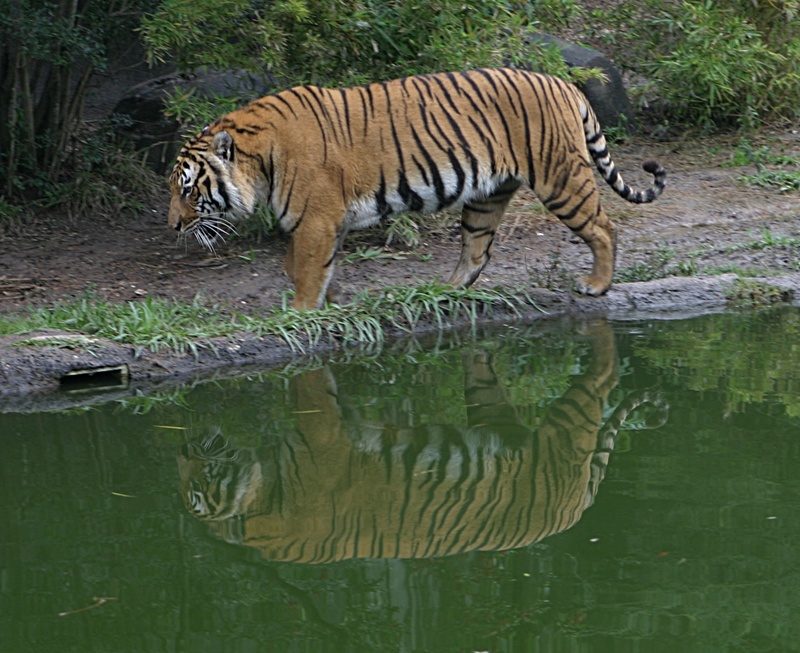 Pratibesagata of the environment and the undeniable importance of the Sundarbans. Marara will depend on the Sundarbans subsist subsist die dakhinancalera 17 districts. Sundarbans kayalabhittika bidyutakendra build environment, it’ll all fall because of the crash. Coal dust or coal dust kayalabhittika bidyutakendre because of the amount of air into the Sundarban it on Biological baicitrye marata œ result in a crash. Nisaranera the amount of carbon in the atmosphere will increase the amount of lead. The disadvantage is less tolerant animals alive in the competition. Kayalabhittika 650 million gallons of water per day required power at the center. The power of such a large amount of water from the rnigata sulfur, lead, arsenic and other chemicals that are mixed in with the environment osthagata. As a result of the increase in global temperature udapadanera kayalapure power. Significant amounts of carbon – dioxide – udapanna oxide because the environment is laden. The amount of rainfall decreases as a result of the large area of ​​electricity is gradually becoming marukarane. The power of one megawatt hour of electricity per udapadane 800 gallons of water are needed. The demand for electricity is increasing day by day. There is no alternative to the social development of the electricity supply. Using the power of the nation yatabesi sejati tatabesi improved. It can be a lot of electricity udapadane Manufactories. The electrical connection has been closed. We need electricity. Beyond any debate, the government would have ¯ byaba electricity. I think it would be easier and less risky hapana ¯ is the center of power. Beautiful forest and its surroundings area is not suitable way, construction of power stations. The supply of electricity in many developed countries, it was 4 hours | acchandya There are those in the Sundarbans. Gheoya caraway wood sari nature does abhina š idata. Hundreds of species of rare plants in Sundarbans mahimandita. There can be no banatike gradually destroyed the World hyaritejera. Kayalabhittika thermal power stations will make Sundarban saundaryyake dhulismata., So that on the yugopayugi be taken at any ayuhatei. The. Bangladesh government in the development of the country’s coal mines are concentrated. Kayalabhittika power supply as it is the center of the kacamala Coal India to import. Coal India ¤ œ are not. The quality of coal burning power udapadana ¤ œ did not increase the amount of Coal Dust. Dust in the air into the lead and salapharayukta nature within two to three years would crash. Just huh harmful substances in the air continues to decay is ojonastarake Mandals. The sun’s ultraviolet radiation reaching the Earth’s surface will make the world uttbapta. 3. Kayalabhittika 500 MW of electricity per year from 1 in 5000 to 193000 tonnes Coal Dust and waste slada or is udapanna. Usually these places are empty or waste bills canal, river nalaya is removed. As a result of the toxic waste water is contaminated etoi ¯ is the ground as the contaminated water would become. Manabajibane horror that will bring disaster. Due to the use of contaminated toxic water everyday, it’ll all fall on the vertebrae of cancer. Coal dust or waste udapadita from the center of the ecosystem of the area temporarily or completely destroys the bastusam ¯ hanake. 4. Coal-based bidyutakendra kolim system is to use a large amount of water. 1350 MW of electricity in udapadane. Billion liters of water should be used. Panike used and re-used in the water of the river to give up when the average temperature of 5 to 35 degrees Fahrenheit. But when a large quantity of hot water in the river when the river would dusanarodha any way. Due to the temperature of aquatic animals will die away. Lichen and shrub vegetation in the water below the survivors, the hot water in the plant will be completely destroyed. The center of power in the neighborhood of bio – diversity will be destroyed forever. 5. Generally, coal-based power at the center is 30 to 35% kayalake burning power udapanna. Udapanna heat from the coal is in the nature of unreality ¯ ¯ Ah is released. Or kolim or hot water absorption is the ¯ Hi. Both of which makes ¯ hayai adverse nature. Coal-based power plants in the most awful waste byaba hapana ¯. Prthibijurei waste kendrgulo byaba the power to order ¯ hapana not endangered, but the environment makes. Sundarban is the kind of a place I can not understand is why the construction of power stations. There are a lot of places where there is no human settlement. Birana that land. Relatively low-risk areas, such as power stations are essential sudrsti ¯ hapane senior authorities. Kamrul Hasan: bhutattbabida and columnist. Rampaul Power Station Environmental Impact nirupanake (iaie) prahasanamulaka the mythic and the report has pratyaksana environmentalists and oil – gas, mineral resources and power – Ports of the National Committee leaders. On Friday afternoon, the buildings’ electricity Rampal iaie the opinion of the review, the seminar was at. World Literature Centre director Professor Abdullah Abu saiyida seminar said that in order to do something that is bad aspects. But Rampaul in the center of the debate is the first. I also think people should do everything palitikyali or technically. Energy experts said. Samachula of the coal-based power plant iaie reports, there should be, he had to decide. But the final decision was taken to create a center of power Rampal. Already been formed joint venture company. Land has been acquired. Agreement has been signed. I iaie the ones who can do the comedy? Protection of the Sundarbans, a discount of about ramapale power stations can not be claimed, he said. Oil – Gas Mineral Resources and Power – Ports of the National Committee convenor Engineer Sheikh Muhammad Shahidullah said the construction of the power plant, the loss of the Sundarbans, the report is an accurate analysis. Noise and environmental pollution have been made about the wrong information. The report claimed that he would not be accepted. Environmentalists said Iqbal Habib, iaie the land has been with the police unleash. It does not say iaie iemapi (Environmental Management Plan) should say. The wind blows during the winter as opposed to. 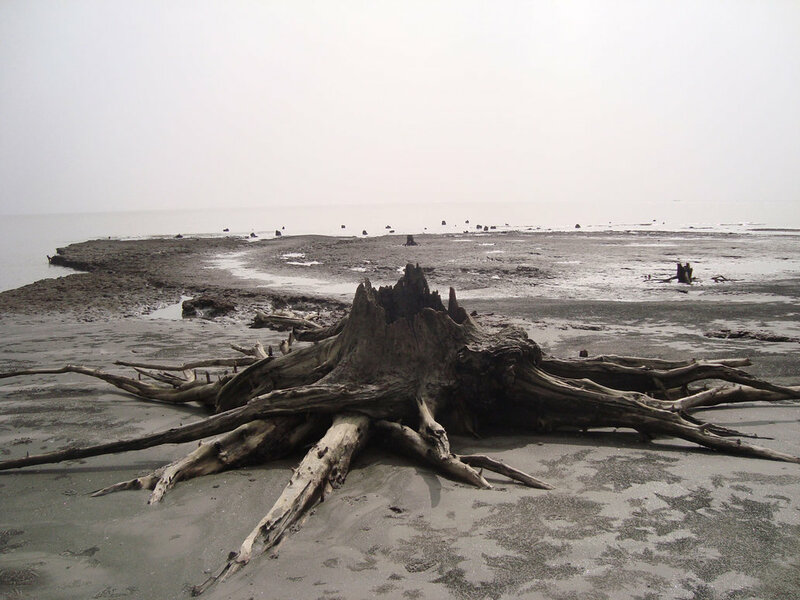 The Sundarbans is just 10 kilometers away from the center of the ash and smoke will damage the Sundarbans. The lawyer added ritakari power projects. Tahsin said, in one of the writ of the government breaking the law. Wireless Engineer roaring wave of the Sundarbans, the air of harmful levels of sulfur and naitrojenera per cubic meter currently has 30 maikrograma. If you reach the center of power density of 53.4 maikrograme. It will endanger the existence of the Sundarbans. This seminar is starting late in the afternoon. The environmentalists, energy experts, and victims are called local. Advisor to the Prime Minister, was the chief guest of the seminar fuel. Tawfiq – e – Elahi Chowdhury. Special guest was the Minister of Energy and Mineral Resources Mohammad Enamul Haque, MP, local MP Talukder habibunnahara, cream Gopal Biswas, MP, Rampal Upazila Parishad Chairman Abdur Rouf Molla. Iaie Centre for Environment and Geographic Information Science to create a report. The report was presented. Oyaji Ullah. The former director of Petrobangla said after Maqbool questions about e – Elahi Chowdhury. We specialize in working with the joint development of a high-level monitoring with regard to the harbor. Bengal tiger .How can we !? World’s Haritage of South Asia ! ?